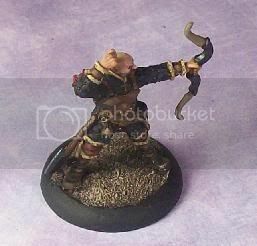 There are few things as sad as a wonderfully painted miniature on a plain, undecorated base....especially when a basic texture effect is so easily achieved cheaply and quickly. 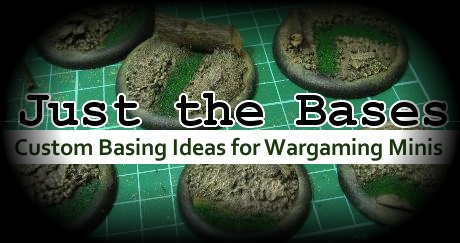 This is Basing 101: using sand as dirt texture for your wargaming mini. Now for veterans this is a 'no brainer'...a tried and tested method for quickly getting your mini finished and table-ready. 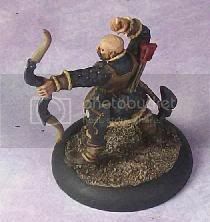 So my audience for this post are mainly those new to the hobby(although hopefully there will be a trick or two of some use to veterans as well). The good news is that with some inexpensive tools, and minimal time, he will have a base he can be proud of! Let's talk materials: sand, old paint brush &amp; Mod Podge(or white glue)...that's it. Let's talk sand first. For about $5 you can get a bag of sand at the hardware store that will likely be all that you'll ever use. What you are looking for is a sand with a natural, beach-like texture which has variable grains in it. 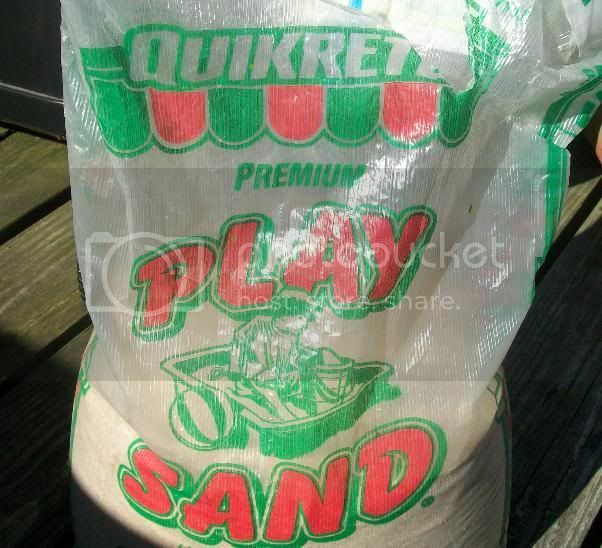 I like Quikrete's Play Sand(but if you live near a beach, nature has already provided of course). But be careful with "Play Sand"...you don't want the uniform, bleached-white stuff. This also goes for "Craft" or "Scenic" sand like you'll find at Michael's...its a processed, fine grit sand that won't look natural when you paint it..don't use it. As far as adhesive you can go two routes; you can use watered down white glue or a craft sealer such as Mod Podge. 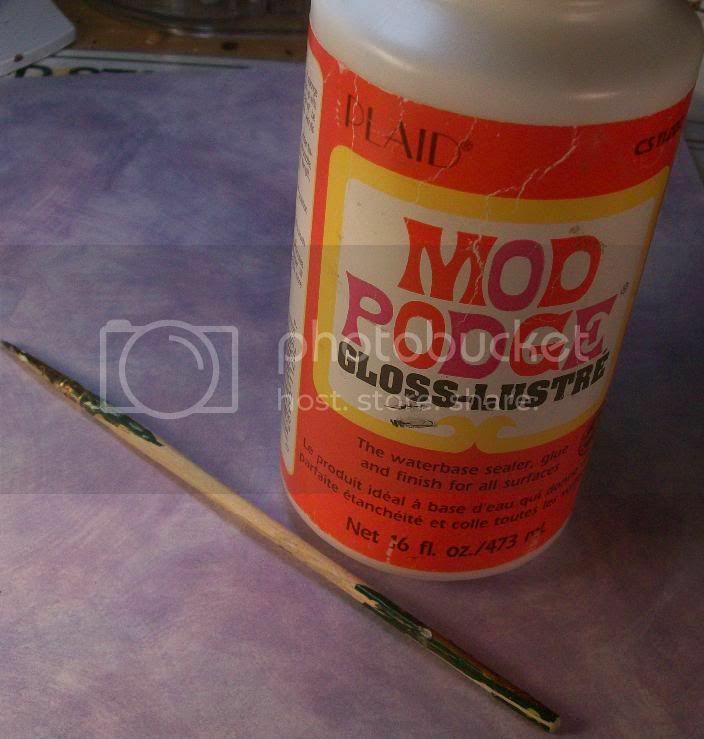 I like Mod Podge because it essentially is watered-down glue right out of the container...no need for an extra step! Use and old paint brush(not one for miniature details)...you can clean it up with water afterwards(white glue and Mod Podge are both water-based)...but why use a nice brush if you don't have to? With materials out of the way, let's talk process(and uber-easy process). 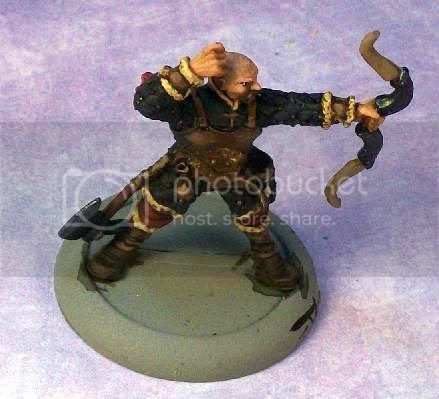 Step 1: Applying Adhesive-Avoiding the miniature itself, apply the Mod Podge(or glue) around the base of the miniature. Also try to avoid getting the adhesive on the outside lip of the base. If there is a little "dip"(recess) where the slotted bottom of the figure is embedded, be sure to fill it in with your adhesive. 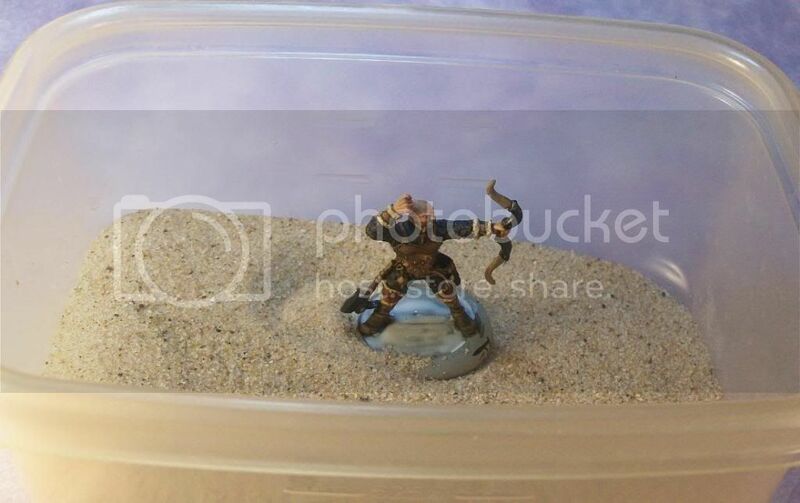 Step 2: Applying Sand-Take your miniature and "dip" it into your sand container in a sidways motion, making sure the base is submerged in the sand. Once the base is saturated with sand, tilt the figure sideways and shake off excess grit. Also, after you take out the mini, blow on its base to remove any loose sand. Step 3: Sand Clean-Up-Look at your mini, if there is sand glued on the outside of the lip, simply use your finger to wipe it off(so that the round edge of your base remains untextured). sand that I will wipe off. 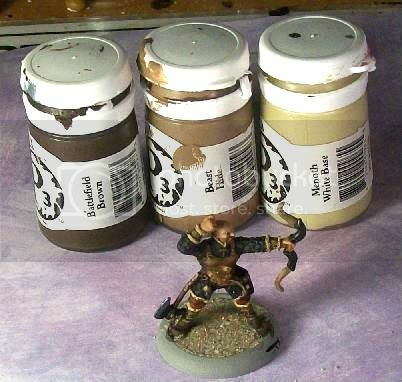 Of course, if you use dropper bottles for your paint(such as Vallejo, Reaper), just water down your paint on your palette. Whichever method you employ, don't water down your paint too much or there won't be enough pigment and the sand's natural color will show through...experiment to get the blance right(you can always paint over your first layer if it was too thin). 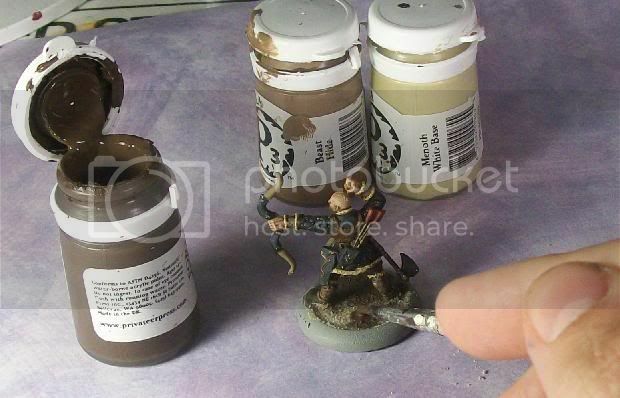 Your basecoated mini should be left to dry before you go on to the next step(put it under a hot lamp to speed up the process if you want). Step 5: First Highlight- Time for some drybrushing fun. 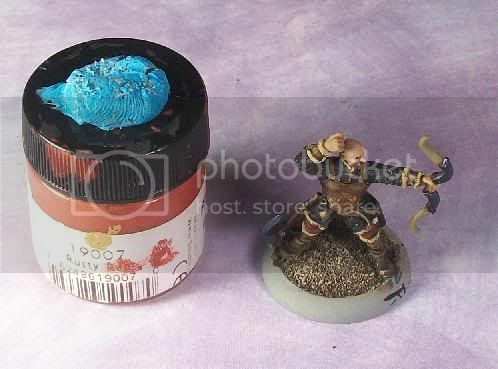 Take your middle hue(mine is P3 Beast Hide) and grab a nice drybrush. Put some paint on the tip of your brush and wipe off most of it on a paper towel until just a little pigment is remaining. 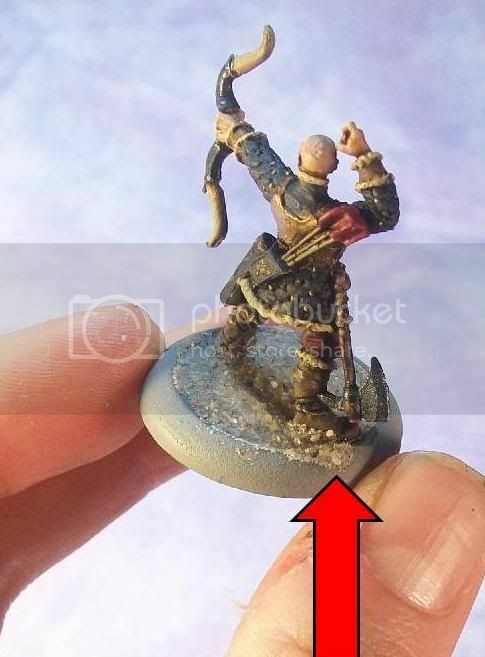 Drybrush the base of your figure in a sideways motion make the sand grain details start to "pop". I don't worry if I hit the feet/boots of the figure a little as this gives them a traveled, dusty look...but you can avoid this if you so choose. 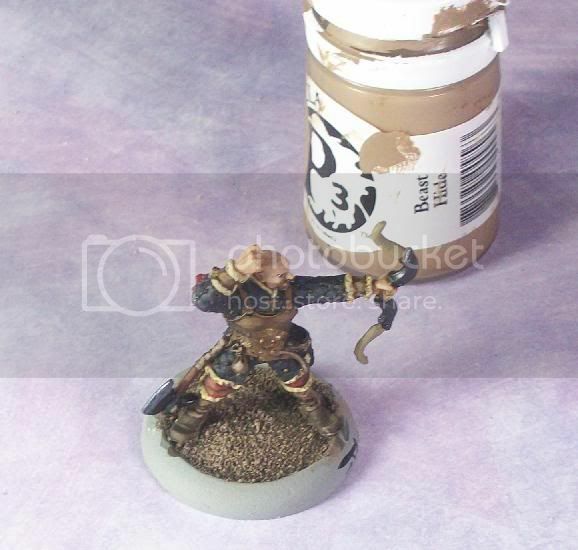 Step 6: Second(High) Highlight- Now we're going to emulate Step 5 but with a lighter color(P3 Menoth White Base/light tan). You don't need to clean your brush in between steps 5 &amp; 6 so long as you brushed off most of your paint from step 5. Load the tip of your brush with your lightest paint and brush most of it off on a paper towel(as with previous step). 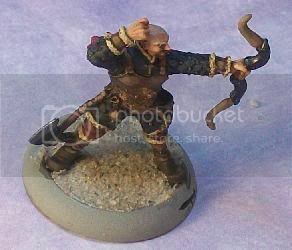 Drybrush this color onto your base to further accentuate the dirt(sand) details. You're almost done! Ignore the paint pot color, its just being used as a temporary base. 1. The dirt texture looks nice enough, and is table ready, but you can always add details like static grass, grass tufts, leaf scatter, moss(see this tutorial) or snow(which is what this Kossite will be getting!). 2. 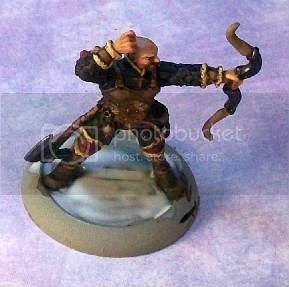 In the tutorial I painted just one mini...if its a unit you would do one step at a time for all your minis(as a batch). 3. By changing the hues you can use the same texture for a differently themed base. 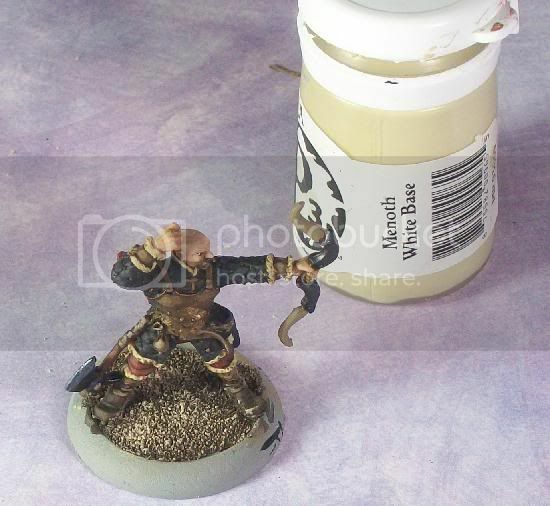 Want your sand to represent a desert base?...use Beast Hide(Dark Tan) as your base and then highlight with Menoth White Base(light tan/beige) and then Menoth White Highlight(ivory) successively.